I love highlighter. I really do. If there is one makeup item that can illuminate, lift and enhance my features, imparting a lovely, youthful radiance it's a good highlight. 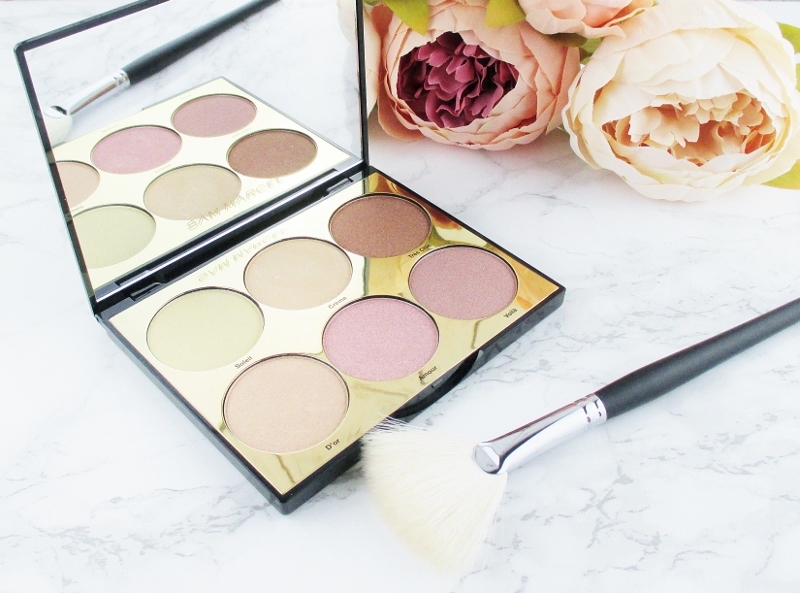 Today, I have a new highlighter palette to share with you. 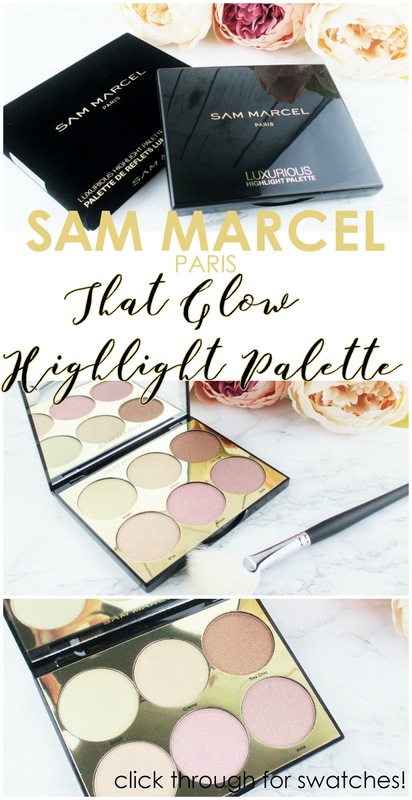 The Sam Marcel That Glow Highlight Palette, $30.00 is a six pan palette containing a range of shades that will enhance many skin tones, from fair to deep, warm to cool. I like to use this this versatile colour collection on my face and my eyes. Creme is the lightest shade and my fave for general highlighting. If I'm doing a little bronzing, a little sunless warmth, I like Soliel or D'or, which are a little more golden. 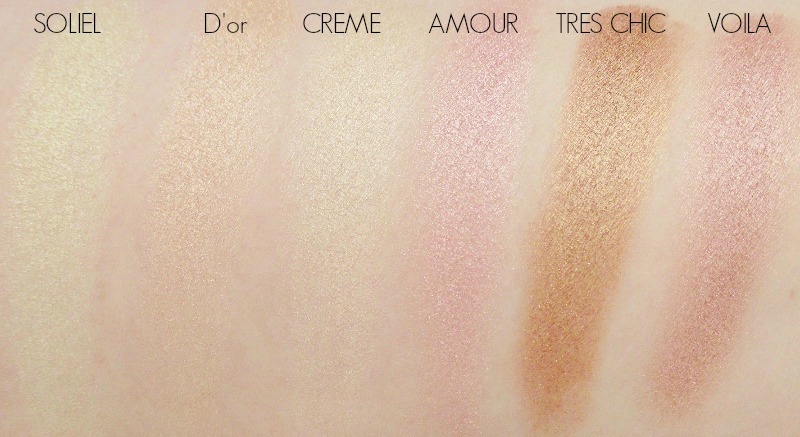 Amour and Voila are, for me lovely blush toppers or eye shadows and of course, D'or and Tres Chic are beautiful lid colours. Swatching highlighters is tricky because finger swipes, while showing shade and tone, don't properly convey just how beautifully bright they can be. A small amount of one of these powders, buffed gently into the skin with a soft fan brush is all it takes to create that coveted silky, almost liquid shine that we all love. 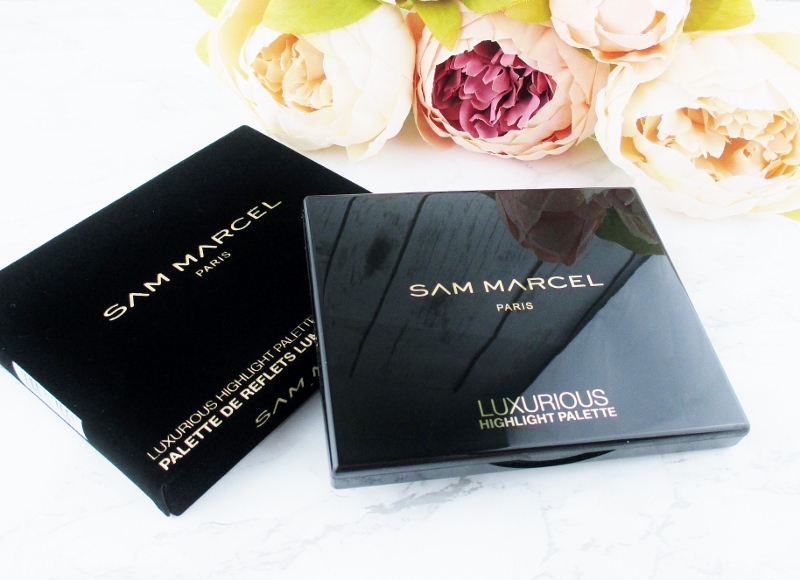 The Sam Marcel That Glow Highlight Palette is vegan, cruelty free, and free of gluten and parabens and contains no chemical sunscreens. 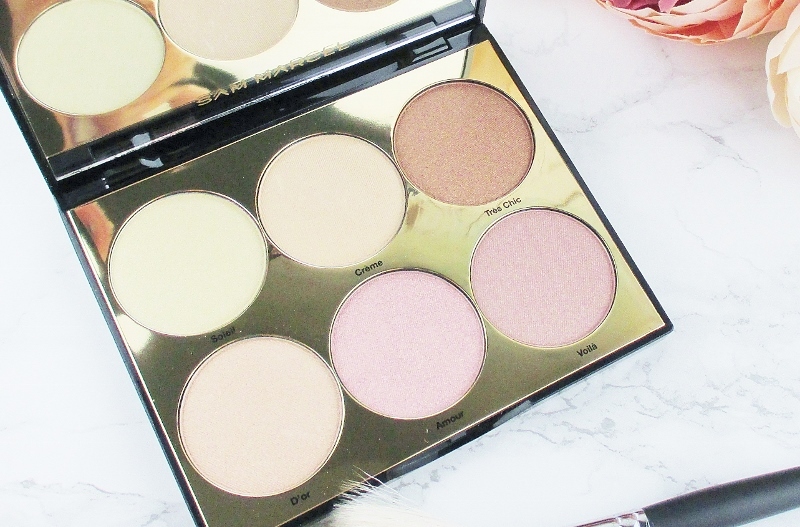 I like this highlight palette; it is beautiful and versatile and in my opinion, well worth the asking price, especially if you need a beautiful highlight palette for a professional kit. What do you think of this lovely makeup item? Are you tempted? The palette looks really nice. What a very pretty palette! That is beautiful. The shades are so right for someone with fair skin. Why haven't I heard of this brand before. What a beautiful palette!! I've never heard of the brand either. I've never heard of this brand but it sounds so nice! The swatches are lovely. I've never heard of that brand but it's a lovely palette. These shades would look great on fair skin. wow! This palette looks so pretty! Oh wow those are so pretty! Tempted by a highlight palette? Oh heck yeah! I am totally loving the packaging... it's sleek and simple, but really pretty. The colors are just gorgeous.